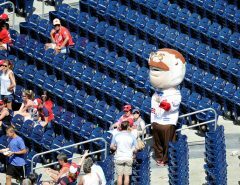 The Nationals could potentially lose a franchise mainstay this coming offseason. A player who has brought magic to Nats fans, one whose arrival signified a turning point from mediocrity to excellence. A player who has had frustrating moments that make you scratch your head, but also moments of brilliance that make your jaw drop. No, I’m not talking about Bryce Harper. I’m talking about Gio Gonzalez. 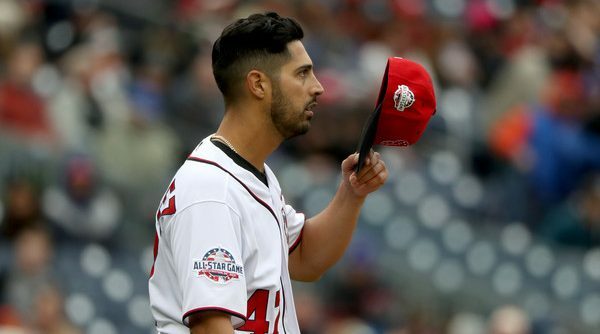 Gio arrived in Washington before the 2012 season in a trade with Oakland, an emerging young starter who slotted well alongside Stephen Strasburg and Jordan Zimmermann in the upper echelon of a rising rotation. The left-hander proceeded to unleash a dominant season, one that saw him post a 2.89 ERA and a 2.82 FIP in 199.1 innings, good for 5.0 WAR (according to FanGraphs). He also won 21 games, a stat that now has very little importance but carried plenty of weight for a Nats franchise that had seen no more than 15 wins from any of its starters since arriving in DC in 2005. He finished third in Cy Young voting. He started Games 1 and 5 of the NLDS. He was the staff ace and one of the best starters in the National League. 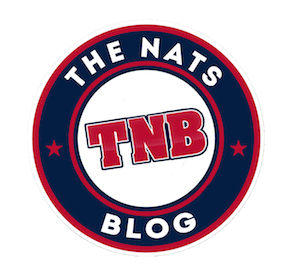 Of course, Gio’s story in a Nats uniform is not complete without mentioning how those two postseason starts went as well as the postseason starts that succeeded them. His first start against St. Louis saw Gio literally walk the yard, allowing seven free passes, including a disastrous 2nd inning that featured 4 walks and a wild pitch that allowed a run. 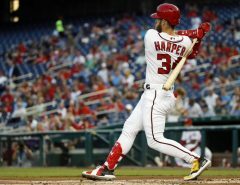 The Nats fought back and won that one, then set Gio up perfectly for a series-clinching victory in Game 5, staking him to a 6-0 lead after three innings. But trouble loomed again, as the lefty surrendered four walks, five hits, and three earned runs before exiting after the fifth inning. He then had to watch the worst collapse in DC sports history finish unfolding from the dugout. His start against the Giants in Game 4 in 2014 did not go much better. He got one out into the fifth inning in Game 3 of the 2016 NLDS against the Dodgers and was rocky in a three-inning stint against the Cubs last postseason in another Game 5 at Nats Park. Gio has been the starting pitcher when the Nats were eliminated in three of their four NLDS trips. Unfortunately, these struggles, the inability to step up and perform when the pressure is at its highest, will be a part of Gio’s legacy. Nats fans also became somewhat accustomed to up-and-down outings from Gio during the regular season from 2013-16, but there’s also plenty to love and savor about the Miami native’s six-plus years with the team. There’s the reliability. His lowest number of games started in a season is 27, back in 2014. In every other year with the Nats, Gonzalez has started at least 31 games. A lefty with such durability is not easy to come by. Even with the games that had you scratching your head as Gio’s pitch-count skyrocketed and his emotions elevated, he’s always been there, every fifth day. And who can deny the smile? Gio has brought a joviality and fun-loving nature to this team since day one. I’ll never forget him meow-ing through an interview with Dan Kolko in spring training in 2016, a la Super Troopers. His rapport with fans and reporters has always been top-notch, and maybe we take that for granted. Gio’s presence with this franchise should be missed if and when he leaves. The figure wearing the no. 47 jersey, firing beautiful 12-6 curveballs with his left arm will be longed for if the Nats cannot find a proper replacement in the rotation. However, they may not need to find one. Let me explain. Gio has elevated his game to another level since the beginning of the 2017 season. I know you may roll your eyes when you hear this on broadcasts, but Gonzalez knows how to pitch, not just throw 95-mph fastballs and loopy curveballs and hope for the best. Gio has learned how to slow himself down when things get dicey. He knows how to dance around the strike zone, bouncing a curveball on 2-2 to get a right-handed hitter thinking, then tunneling in a perfect inside fastball to get him looking. The velocity on the fastball has ticked down to around 90 mph, so he’s made the proper adjustment by leaning more on his curveball and changeup. His curve usage was at 19.8% in 2016; that jumped to 24.7% last year, which is right where it sits through 8 starts in 2018. The changeup: 15.7% usage in 2016, 18.6% in 2017 and a whopping 21.4% so far this season. The lefty has gotten the results to back up this strategy. Although he may have been a bit lucky to post the 2.96 ERA he put up last year when you consider the 3.93 FIP, he found ways to manipulate hitters and get out of jams, and he crossed 200 innings pitched for the first time since 2011. So far this year, everything’s glowing: a 2.22 ERA, a 2.49 FIP and a major jump in K/9, from last year’s 8.42 to 10.07. I hope the Nats bring Gio back. 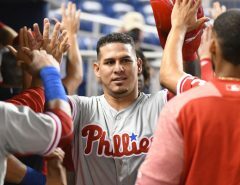 And I hope he can deliver us with more magical moments that rise above the memory of his postseason struggles, like the unbelievable night he had against the Marlins last July 31, when he came three outs away from a no-hitter. In his hometown. On the night that would have marked his close friend Jose Fernandez’s 25th birthday. He threw the best game of his life in a 1-0 victory, even garnering applause from the opposing team. It will forever remain one of my favorite games in Nationals history. Gio Gonzalez made a name for himself here. He built a family here. He’s a legend here. And I hope his final MLB outing comes at Nationals Park, where we can cheer and clap and raise our caps to our favorite left-handed thrower one last time.